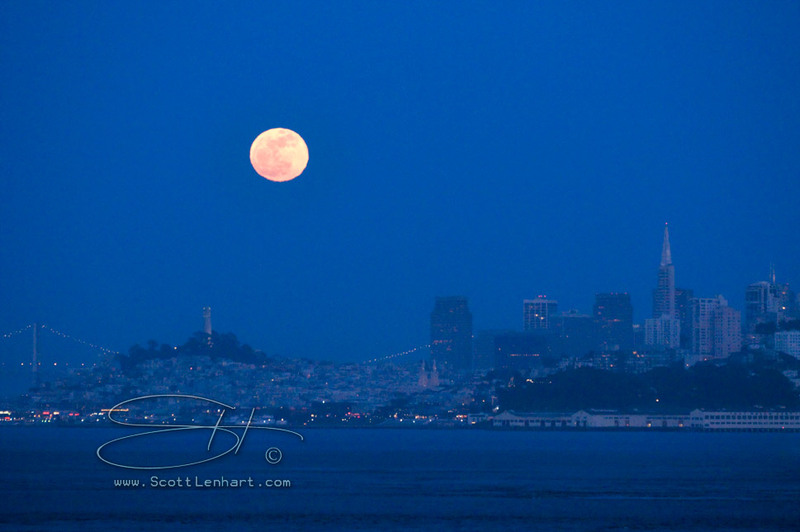 We offer San Francisco & Northern California boat tours for viewing the Full Moon, including September's Harvest Moon. Have a party on the water during the full moon; the simultaneous sunset and moonrise make for a spectacular celestial event... Bring your camera! Get into nature: go ecotouring on a whale watching party trip! Stay at a hotel or B&B; we can arrange accommodations near any of our ports of call according to your personal tastes. We'll help with any reservations, including Bay Area deep sea fishing trips that end - or even begin - at moonrise. Don't miss the moon boat..! Watch Whales, Sea Lions, Birds & Great White Sharks on Farallon Islands Eco Tours! Then time the return to watch the sun setting and the moon rising for a fantastic finish to your boat ride.